Professor Philip Davis is Head of the Centre for Research into Reading, Literature and Society (CRILS) at the University of Liverpool. 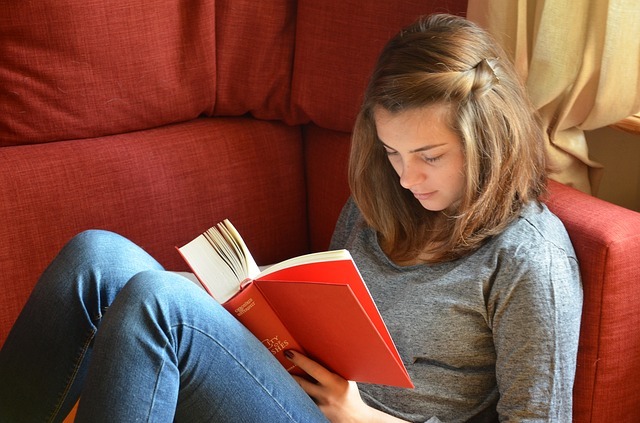 In this blog, he explains why reading can dramatically improve mental health and wellbeing, and offers some advice on how you can set up your own shared reading group. I have written and spoken extensively about ‘Poetry not Prozac’ – the idea that reading literature aloud and together can help improve both physical and mental wellbeing. It is not that I am against any form of help – medication, counselling – if it can truly be of help. But not all human problems need to be seen as medical problems or ‘cases’ of this or that so-called illness. I set up the Centre for Research into Reading, Literature and Society (CRILS) because I wanted to work with psychiatrists, GPs and other health professionals who know that, too often, people are medicalised and just given a drug. For example, if two weeks after the death of a loved one you are still suffering symptoms of depression, you may be given anti-depressants. But that grieving process is all part of deep human sorrow, and joining a shared reading group can enable people to talk about their feelings of loss. Participants are encouraged to pause, to think about what they are reading. Just like any group activity, shared reading brings people together and can help combat social isolation; but the added value comes from the fact that the read work (e.g. the poem) is excitingly personal. That piece of literature can lock into personal feelings, trigger reactions and provide human matter for discussion. There’s real social value in what I call the ‘live’ effect of the shared reading of a powerful emotional piece of writing. There’s a human presence to the poem when it’s read out loud and people get involved in that. They don’t mind being upset in the groups – or letting other people see them upset. We should stop talking about ‘negative’ experiences: trouble and sorrow, as well as joy and loveliness, are naturally part of what is best in us. Shared reading allows people to speak out about their deeper inner lives, usually things hidden in a too cold or cool society. Through the Reading Organisation we can tell the stories of how reading improves mental wellbeing, but the medical professional needs the hard evidence from CRILS to show that literature might be of greater benefit than drugs or CBT in some cases. We research the benefits of shared reading using both quantitative and qualitative methods that include case studies and video recordings of groups. One group we filmed was reading ‘I Am‘ by the romantic poet John Clare, who suffered from depression, was sectioned and locked up in a mental institution. When the group came to the line “My friends forsake me like a memory lost”, one young woman suddenly got upset and left the room. When she came back she said: “I feel like a memory lost – I know what it feels like to feel forsaken.” She was living that poem. In another piece of research we used MRI scanners to monitor the brain activity of volunteers as they read quite challenging poetry by Shakespeare, Wordsworth, T.S. Eliot and other writers. We also had them read similar pieces only translated into more straightforward contemporary prose and monitored the readers’ brains again. Scan results showed that the more challenging poetic texts ‘lit up’ the volunteers’ brains by their ‘a-ha’ moments of surprise – in a way that I’d describe as a ‘rocket booster’ – suggesting that literature can have a positive effect on the brain and trigger moments of emotional recognition, reappraisal of dull norms and an excited sense of new achievement – all at once. Reading groups can work anywhere in a community, including schools, libraries, prisons, rehabilitation centres, businesses and care homes. No one should be excluded and they can even work for people with dementia. You can also read on a one to one basis, which might work better in some contexts. You need a skilled leader to direct and support the group. Contact the Reader Organisation – it can recommend literature, provide people who can lead groups and it offers a three day training programme for organisations who want their own facilitators. Previous fears of reading can be overcome through a supported group experience. Some people may not have read much out loud and are frightened of stumbling over words. I have come across fathers who were never read to – and as a result they hadn’t read to their own children. Shared reading has helped them to enjoy reading with their sons and daughters, passing it on. Offer a range of texts, which might include Shakespeare and poetry. Short stories and poems are particularly effective, but an extract from a novel can be a good taster of the whole book. Angela Macmillan’s “A Little Aloud” is an excellent anthology I often recommend. The golden rule is don’t talk about the work first of all – read it aloud! Read it in a room and to each other so that the work is given a human voice, before you start to talk about it. Most of us will suffer from some kind of mental health issue such as depression, anxiety, grief, at some time in our lives – might the key to recovery lie on a bookshelf and not a pharmacist’s shelf? Do you have any thoughts on how shared reading can aid mental wellbeing? I would love to hear your views or experiences.